A wig or hair piece is possibly the best solution for thinning hair. The aim of our work is to make each tailor made piece as realistic and subtle as possible. For those who require our services for their own medical/personal needs, we approach all requests with sensitivity and discretion. Whether you are from the high profile film industry or are an individual seeking out resources for their own means, we make wigs, toupees, hair pieces and individual project pieces for a wide audience. We are based in South West London, and are willing to serve clients with thinning hair across the UK. Each item is hand made to fit specific needs following a number of fittings if possible or required. As well as making pieces from scratch we also provide a maintenance service, such as re-fronting wigs and foundation repairs. We use a range of different colour and strengths of foundation materials, to match each individual’s skin and hair colour. All our hair pieces are breathable and durable. All our pieces are made from high quality hand-mixed European hair unless requested otherwise. Please note: People suffering from cancer and alopecia are entitled to VAT exemption on all wig and hairpiece orders. 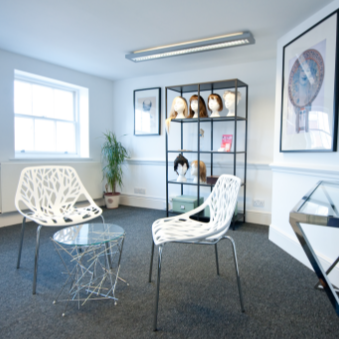 We encourage all customers to come for an initial free consultation so we can show them all the materials we use, and the process of having a bespoke wig or hairpiece made. £60. 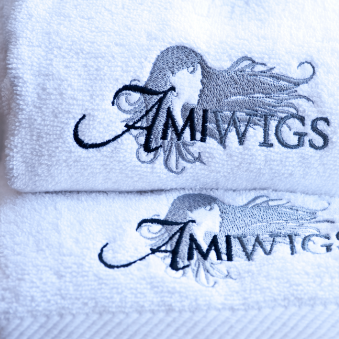 At Amiwigs we are happy to carry out customers fitting and appointments in the comfort of their own home within a 5 mile radius of our studio location. Any further locations within the surrounding counties will be charged at an additional 45p/mile. If you live further away and would still like to book a home visit, our time at a daily rate will be charged at £200/day plus fuel. This is a Hand Knotted, tailor-made wig made with hair, hand-mixed to your individual hair colour of choice. These wigs are more intricately made, with finer knotting all over. Tailor-made foundation and hand-mixed hair-colour. This service gives you the option to have a lace front wig, but the foundation is machine made. The front is hand knotted – a more affordable option for someone looking for a realistic wig on a budget. This service gives you your wig a new lease of life. A popular hair piece for men with thinning hair. A popular hair piece for women with thinning hair. Switch, Cluster, Weft/Weaving – A price will be quoted after initial consultation. These are hand-weaved and the hair colour is mixed to your colour so there is a seamless match. Ideal for ladies with fine hair. If you have a wig that does not fit properly, AmiWigs offer an alteration service that tailors the wig foundation to your head shape to provide more comfort and confidence while wearing the wig. If you have a machine made wig, an effective cut from an experienced wig stylist can make a huge difference. If you have a human hair wig that has bleached in the sun, or you just fancy a change of hair colour we can dye your wig to whatever colour you require including highlighting and low lighting. If you have a human hair wig that needs the roots darkening, this is the service for you! Costs also vary, and a price can be quoted dependent on the nature of the job. 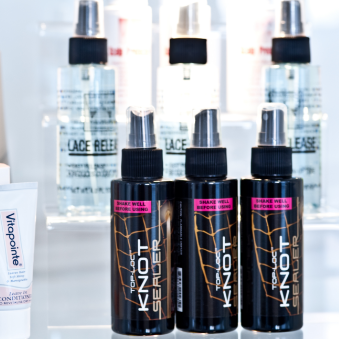 We will wash and condition your hairpiece, along with a blow dry or roller set. We can offer a quote and timescale having obtained an understanding of the nature of the ‘piece’ and the complexities involved.